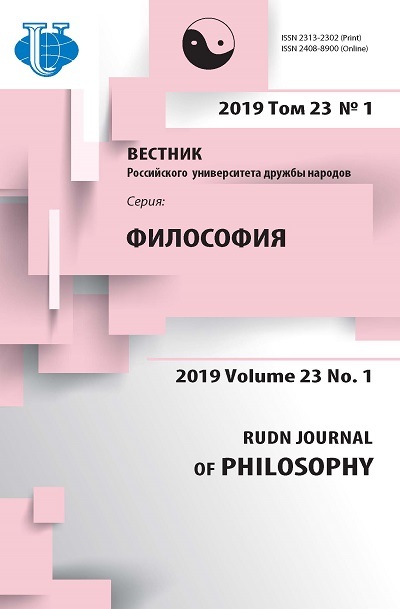 The article analyzes the features of the formation and development of new ethical principles in the conditions of scientific and technological development of modern society. It is noted that the new technological realities of human existence require appropriate reflection in ethical concepts, introducing certain changes in them, the degree of novelty of which allows us to talk about the formation of a new ethics of the scientific, technological and information society. Scientific and technological development is understood as qualitative changes in the technological balance of the economy, leading to economic growth, through the development of science, the creation and use of advanced technologies. These processes need a moral assessment, since from the beginning of the industrial and, subsequently, information revolution, science, technology and new technologies brought not only a positive but also a serious negative contribution to the social and economic process. In the course of this assessment, it is necessary to resolve the contradiction between the need to realize the creative element of a person expressed in the creation of technology and the preservation of the humanistic orientation of scientific and technological development. By directing scientific and technical progress to ethical imperatives and the goals of sustainable development, mankind will be able to turn technology and technologies from morally neutral into value-weighted ones, thereby providing the future generation with the necessary moral imperatives for the humanization of science and technology. Scientific and technological activity is aimed at the development of mankind, has as its goal the good of man, therefore it is humane in nature, and its ethical principles are largely determined by an understanding of the foundations of humanism. For the modern, and even more for the future of the world scientific community, the further development of the tendency for the humanization of science and technology, the ever more complete subordination to the goals of mankind, the combination of research and value approaches, the development of their ethical foundations becomes particularly important. scientific and technological development, modern society, industrial revolution, information revolution, science, technology, innovation, ethics of science, moral evaluation, humanization, professionalism, professional morality. I. Introduction In the first decades of the 21st century in the world is a fundamentally new situation. Its qualitative novelty is due to a number of major changes in the state of mankind, conditioned, ultimately, by the progressive development of the world community, the dynamism of progressive changes, the ever deeper penetration of the mind into the secrets of nature, society, and man. Qualitative changes in the development of mankind, the emergence of fundamentally new realities naturally bring to life new theoretical concepts designed to comprehend and explain reality, to identify the probable ways of its movement, expressing the fundamental interests of all people and peoples, the main of which is to create conditions for the continued existence and development humanity. At the present stage, one of the key factors of civilizational development is the direct impact of scientific and technological progress. The achievements of science and technology contribute to improving the quality of products and services, saving labor and material resources, increasing labor productivity, improving the organization of production and improving its efficiency, which determines not only the level of economic and social development of countries, but also the degree of their involvement in the overall planetary development of civilization generally. A natural consequence of such processes is the formation by many developed countries of a strategic model of economic growth, based on the attraction, creation and transfer of advanced developments and new technologies. The Decree of the President of the Russian Federation on December 1, 2016 approved the Strategy for Scientific and Technological Development of Russia, which defines the purpose and main tasks of the scientific and technological development of the Russian Federation, establishes the principles, priorities, guidelines and measures for implementing state policy in this area, as well as the expected results implementation, ensuring a stable, dynamic and balanced development of Russian society. The new technological realities of human existence require appropriate reflection in ethical concepts, the introduction of certain changes in them, the degree of novelty of which allows us to talk about the formation of a new ethic of the scientific, technological and information society. The new technological realities of human existence require appropriate reflection in ethical concepts, the introduction of certain changes in them, the degree of novelty of which allows us to talk about the formation of a new ethic of the scientific, technological and information society. II. Concept and main directions of scientific and technological development The powerful, determinative impact of science and technology on the development of the economy and society is a well-known and universally recognized fact. Science and technology is a significant resource for solving social and economic problems, increasing intellectual potential, strengthening the country's competitiveness, an indicator of its successful growth. At the same time, the sphere of science and technology, and in the broader context of science, technology and innovation, is a complex, dynamically changing object whose state depends on political, economic, social and other external factors. In terms of its importance and impact, science and technology become the main strategic resource. High-tech industries form the infrastructure of the state, allow managing state, economic, social and other objects and systems. It is in the concept of scientific and technological development that all areas of science are combined. It should be noted that despite the recent significant number of publications devoted to this problem, as well as the number of documents adopted at the state level related to scientific and technological development and technological modernization, the very concept of “scientific and technological development” is not clearly defined. In the Strategy for Scientific and Technological Development of the Russian Federation, scientific and technological development is defined as “the transformation of science and technology into a key factor in the development of Russia and ensuring the country’s ability to respond effectively to major challenges” . The big challenges in this context are objectively demanding response from the state of a set of problems, threats and opportunities, the complexity and scale of which are such that they can not be solved, eliminated or implemented solely by increasing resources. In the research literature, scientific and technological development, as a rule, means qualitative changes in the technological balance of the economy, leading to economic growth, through the development of science, the creation and use of advanced technologies, and the production of high-tech products, i.e. goods and services . The main components of scientific and technological development are: - development of science, organization and conduct of fundamental and applied research, experimental design and technological work; - the creation, commercialization and distribution of advanced production technologies and their corresponding equipment, facilities and controls; - training and retraining of personnel with technological knowledge and skills; - introduction of advanced production technologies in the production and release on their basis of competitive high-tech products; - formation and development of technological infrastructure; - development of applied technological science. There is also a close relationship between scientific and technological development and innovation. At the heart of scientific and technological development are technological innovations. The results of scientific and technological development allow creating new innovative products (services), serve as an excuse for innovation. Simultaneously, the very scientific and technological development is impossible without active innovative activity, which acts as its driving force, affects the pace and level of scientific and technological development . Scientific and technological development is a broader concept than the scientific and technological development traditionally used in scientific literature. This is due to the fact that the term “technology” is applicable to any kind of human activity, and not only to a specifically technical or production activity. In this sense, technology is a representation of the process of activity, during which its initial material is transformed into a result, a product. However, even technical activity, technology and technics in the narrow sense of the word must be considered in two ways: first, from the internal technical side (then we are talking about the technology of invention, development and manufacture of the product of technical activity - technical system) and, secondly, externally, i.e. from the side of introducing the result into public structures . It is in the latter case that we are talking about technological development, and, since the development of new technologies and their implementation are closely related to scientific research, it is also about scientific and technological development. The interaction of science and technology is closely connected with the problem of ensuring sustainable development of society . On the one hand, the development of science and technology has a significant impact on the level of economic and other security, and on the other hand, science and technology themselves act as security objects. Science and technology together with technology predetermine the present boundaries of the reserves of existing natural resources, determining the efficiency with which we use these resources, and the ability to find, extract, transport and store them. High-tech industries are able and are called upon to play a strategic role in ensuring the country’s economic growth, thereby strengthening its security, both from external and internal threats. Thus, the main factor that determines the increase in the efficiency of economic processes and the development of society as a whole is scientific and technological progress. Changes in science and technology create internal energy in the economic system. Firstly, it makes it possible to satisfy the same needs on a different technological basis; second, it changes the structure of needs, predetermining the changes and the entire production basis. These changes cause imbalances and disrupt the balance, but at the same time create the basis for the transition of the socio-economic system to a new quality. On the other hand, scientific and technological development can contribute not only to a more effective development of society, but also to promote destruction. So, a prerequisite for the creation of devices such as a nuclear reactor, a hydrogen and atomic bomb, or a modern computer, is a deep study of physical, chemical and other processes. The introduction of these objects entails the possibility of anthropogenic catastrophe, which will affect society and the ecological situation as a whole . III. The problem of humanization of scientific and technological activity At the present stage of development, it becomes evident that since the beginning of the industrial revolution, science and technology have brought not only a positive but also a serious negative contribution to the social and economic process. Strengthening the ecological crisis and increasing the instability of social development contributed wars and testing all kinds of weapons in conjunction with man-made disasters. There are enough evidence and facts, saying that the main goal of science was the creation of complex technologies aimed at the consumption of natural resources. The main paradigm of civilization development was the world view of the transformation of nature for human needs. As a result, one third of the planet is occupied by countries with an industrial and postindustrial type of development, which have a significant impact on the world production structure and ecology . The rapid progress of industrial civilization, especially in the second half of the 20th century, revealed its inconsistency: delivering new means to meet the growing needs of people in comfort and security, it also led to large-scale undesirable consequences. Technology during history makes people's lives more secure, but with the increase in technology, there is undoubtedly an increase in the dependence of a person on technical devices and a variety of technologies for their use. Penetration into outer space, the creation of large-scale long-range technology, cognition and introduction into the microcosm and the genetic nature of man increasingly makes the person himself the object of scientific and technological transformation . Mankind is increasingly becoming an “accomplice” of evolutionary processes in nature, which sharply increases the problem of responsibility for scientific and technological development. The transition of many developed countries to the post-industrial stage of social development at the beginning of the 21st century did not significantly change the situation. The contradictory character of modern scientific and technological development makes special, higher social, moral and ethical demands on scientists, developers, engineers, technicians, and specialists. Like never before, the problem of optimal (taking into account many parameters of human life) introduction of achievements of scientific and technological revolution that contribute to the unique development of individuals arises. In the conditions of the man’s continuous deepening into the secrets of nature, mastering of all new ways of influencing it, the humanization of scientific and technological activity, the increasing role of its ethical criteria becomes of special importance . Discussions about the value of machinery are often confusing and multivalued. This is primarily due to the fact that the choice of a technical system inevitably imposes certain conditions on human relations. For some types of technology, appropriate models or types of social relations and social technologies are needed. An assessment of the current state of affairs involves seeking answers to the question of how the development of technology should be carried out in order to be worthy of a positive moral assessment. The situation is complicated by the fact that between science and morality there is not only a difference, but also a certain contradiction. Even more, such a contradiction is seen between technology and morality: scientific and technological activity is meant to serve the good of man, this is already moral in nature, but specific ethical principles of scientific and technological activity are determined by an understanding of the foundations of humanism by those people who use new technologies, create and apply technical devices. Not even the vertex achievements of the mind are incapable of elevating the personality, if they are not backed by humanistic morality. The cardinal changes in the modern world, conditioned by the scientific and technological revolution, dictate the need to seek new approaches, ways and forms of relationships between people and their communities, and the global nature of the changes determines the planetary nature of the ethical principles underlying these relationships. The new ethics will grow into a holistic phenomenon, its basis is recognition of the priority of the generally accepted norms of morality, observance of universal human interests and values. A.S. Kapto defines this new ethic as the ethics of planetary humanism and global governance, emphasizing that its basic principles are equality and justice, tolerance, non-violence, respect for nature, the shared responsibility of states and peoples, ensuring not only the survival of mankind in the conditions of the created possibility of self-destruction, but also a scientific and technological civilization breakthrough . IV. Scientific and technological development and professional morality In the modern world, the ethical problems of scientific and technological development increasingly come to the fore in connection with the increase of the moral responsibility of a person who creates and uses technical devices - a scientist, an engineer, a designer. The ultimate goal of technology is unquestionably serving people, but without harming other people and nature. The technology can no longer be regarded as value-neutral and must meet not only technical functionality, but also the criteria for economy, improving living standards, safety, people's health, the quality of the surrounding natural and social environment, etc. . The scientific and technological development of modern society has a direct impact on the professional morality, primarily scientists - people professionally engaged in scientific research, as well as all specialists who develop and apply new technologies. Consciousness of the responsibility of the scientist led, in particular, to the development of a code of scientific ethics, aimed, first of all, against the immoral use of scientific achievements . The ethics of science today acquired the character of an integral humanitarian discipline, the norms of which formed the basis of both professional ethics of the scientist and engineering ethics. A serious issue of modern morality is the very level of professional competence of specialists, especially those dealing with technical systems. This is due primarily to the multiple reinforcement and intensification of human impact on the world around him. In these conditions, professional error can lead to an irreparable process of self-destruction of mankind or some part of it. This can happen, for example, as a result of an “unauthorized” initiation of a nuclear conflict or man-made disaster, which can be caused by a person’s mistake or a malfunction in a super complicated technical system, which also often results from his fault. For the modern scientist, engineer-designer of complex technical systems, political indifference, disregard and callousness, the lack of humane goals of their professional activity  are unacceptable. Unfortunately, in recent decades the tendency to decrease the moral responsibility of professional specialists has been observed all over the world, the conviction in the moral and value neutrality of scientific and technological activity is growing. The “technicism” of consciousness largely hampers the humanitarian aspects in the broadest sense of the word, primarily natural scientists and engineering workers, and the massive introduction and use of new information technologies increases the illusory sense of anonymity of the actions of technical specialists, their inability to clearly see the ultimate goal of their activities. Under these conditions, the professional conscience of a specialist becomes the only effective control and restriction on the use of scientific and technological advances for anti-human purposes . Especially relevant in the light of the above is the requirement of civic-mindedness of scientific search, scientific conscientiousness, active life position, awareness and fulfillment of professional duty. The sense of social and moral responsibility of a scientist, technical specialist certainly arises when he realizes himself as a part of society, a person who is called upon to solve not only narrowly professional tasks, but also to develop his own point of view on problems in which, in one way or another, society is interested in solving. V. Conclusion When carrying out a moral assessment of scientific and technological activities in the conditions of its progress, two extremes should be avoided. First, it is not necessary to absolutize the power of a purely technical approach for creating the life wellbeing of a person: technology undoubtedly contributes greatly to the improvement of such well-being, but technical achievements can not be considered without reference to the social factors of social development. Secondly, it is necessary to avoid the absolute social factor in the approach to science and technology, since in no society it is possible to automatically remove the contradictions arising in connection with the negative consequences of accelerating scientific and technological development. At the same time, competent social and political decisions can minimize such consequences, so the problem of responsibility for the creation and application of technology and new technologies can be extended from the individual and ethical sphere to the socio-political sphere. It is necessary to resolve the contradiction between the need to realize the creative element of man, expressed in the creation of technology, and the preservation of the humanistic orientation of scientific and technological development. By directing scientific and technical progress to ethical imperatives and the goals of sustainable development, mankind will be able to turn technology and technologies from morally neutral into value-weighted ones, thereby providing the future generation with the necessary moral imperatives for the humanization of science and technology. Scientific and technological activity is aimed at the development of mankind, has as its goal the good of man, therefore it is humane in nature, and its ethical principles are largely determined by an understanding of the foundations of humanism. For the modern, and even more for the future of the world scientific community, the further development of the tendency for the humanization of science and technology, the ever more complete subordination to the goals of mankind, the combination of research and value approaches, the development of their ethical foundations becomes particularly important. доктор философских наук, профессор кафедры философии Московского авиационного института (национального исследовательского университета). Strategy of scientific and technological development of the Russian Federation. Approved by the Decree of the President of the Russian Federation No. 642 of December 1, 2016. URL: http://sntr-rf.ru/ (Accessed 20 February 2018). Belyakov GP., Kochemaskin AN. Concept and economic essence of scientific and technological development. Problems of modern economy. 2014;49(1):38-41. (In Russ). Dickson D. Science and Technology Communication for Development. URL: https://www.ncbi.nlm.nih.gov/pmc/articles/PMC314483/ (Accessed 3 March 2018). Gorokhov VG. The concept of “technology” in the philosophy of technology and the peculiarity of socio-humanitarian technologies. Epistemology and philosophy of science. 2011;28(2):110-123. (In Russ). Chetty L-R. The Role of Science and Technology in the Developing World in the 21st Century. [Internet]. URL: https://ieet.org/index.php/IEET2/more/chetty20121003 (Accessed 25 January 2013). Vasilyeva AS. Scientific and technical development as a factor of sustainable development and ensuring economic security. Journal of Creative Economy. 2012;(9):3-8. (In Russ). Tsvyk AV. Ethics of political responsibility in international relations. RUDN journal of International Relations. 2017;17(2):257-264. (In Russ). History and Philosophy of Science (Philosophy of Science). Ed. Kryanev YV., Motorina LE. Moscow: INFRA-M, 2008. P. 416. (In Russ). Tsvyk VA. Moral Values of Professional Activity. Personality. Culture. Society. 2014;81-82(1-2):262-268. (In Russ). Kapto AS. Professional Ethics. M.- Rostov-on-Don: The Publishing House of the SKAGS, 2006. 800 p. (In Russ). Tsvyk IV. Moral Evaluation of Technology. 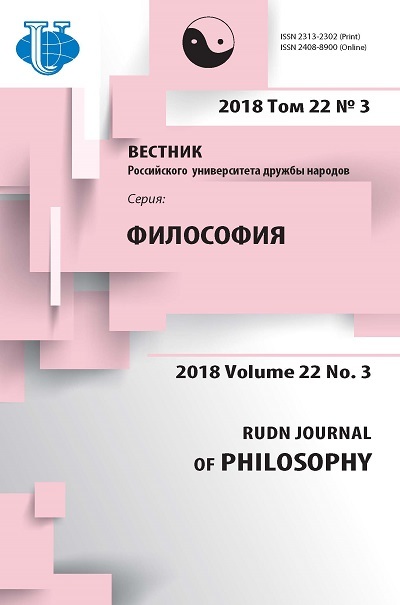 RUDN Journal of Philosophy. 2014;2:145-151. (In Russ). Tsvyk VA., Tsvyk IV., Lapshin IE. Ethics of professional practice (Conference proceedings) 3rd International Multidisciplinary Conference on Social Sciences and Arts, SGEM, Atlantis press, 2016. P. 487-494. Moiseenko MV., Savvina OV., Mukhametzhanova VS., Kosorukova AA. Code of Ethics as an Instrument for Maintaining Professional Ethics of University Professors (Conference proceedings) 3rd International Multidisciplinary Scientific Conference on Social Sciences & Arts, SGEM, Atlantis press, 2016. P. 403-410. Tsvyk VA., Mukhametzhanova VS. Ethical Basis of Professionalism (Conference proceedings) 3rd International Conference on Arts, Design and Contemporary Education, ICADCE. Atlantis press, 2017. P. 741-743.